From left to right: Byrav Ramamurthy, David Swanson, Deepak Nadig Anantha, and Brian Bockelman. 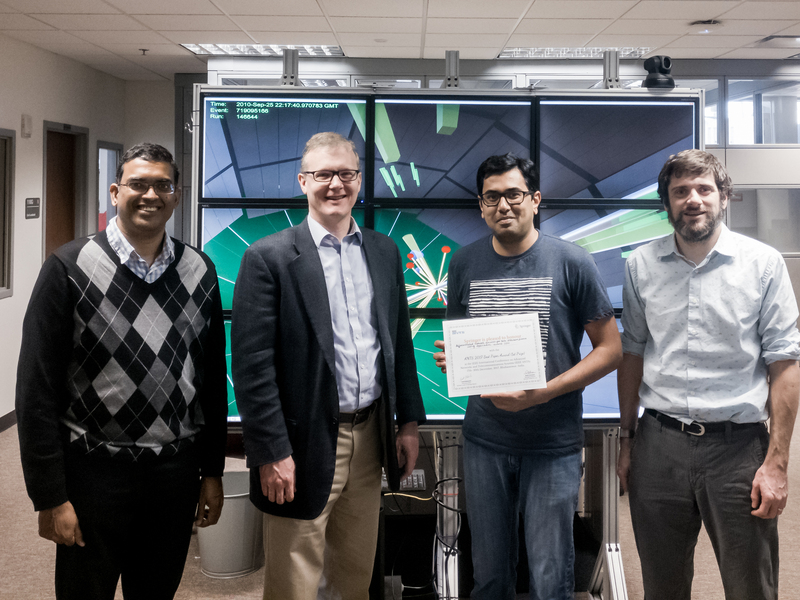 Researchers in the Department of Computer Science and Engineering at the University of Nebraska–Lincoln have had multiple papers accepted to the 2019 IEEE Networking Conference. IEEE INFOCOM is a top ranked conference on networking in the research community. It is a major conference venue for researchers to present and exchange significant and innovative contributions and ideas in the field of networking and closely related areas. IEEE INFOCOM 2019 received 1464 submissions, of which 288 papers were accepted after a thorough review process (acceptance rate 19.7%).